Size: One-Size, Color: Green is currently out of stock! 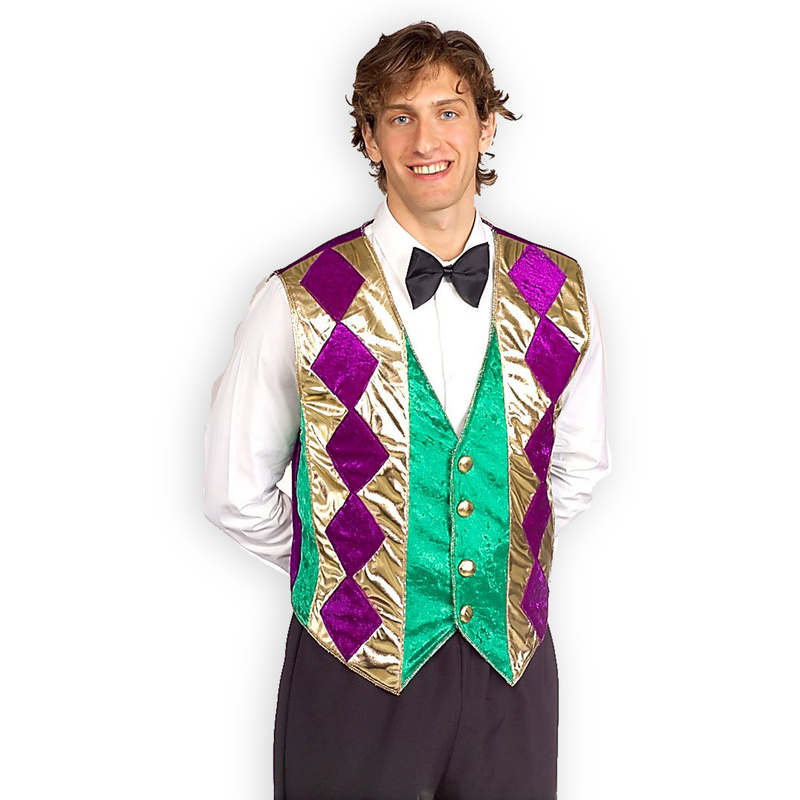 Includes a Green, Gold and Purple Vest made from velvety polyester and gold lame' fabrics with foam lining for shaping. One size fits most adults. 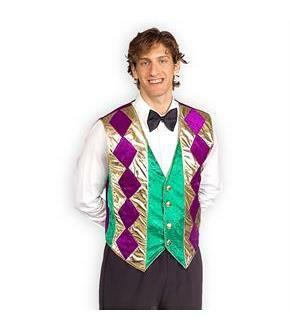 Shirt, bow tie, and pants not included.